The Renault Traffic is a very popular works van and there is still a huge amount of 2006-2014 shapes driving around on the roads today. Very limited amount of these vehices have an alarm as standard and as such tradesman look at ways on securing there vans. 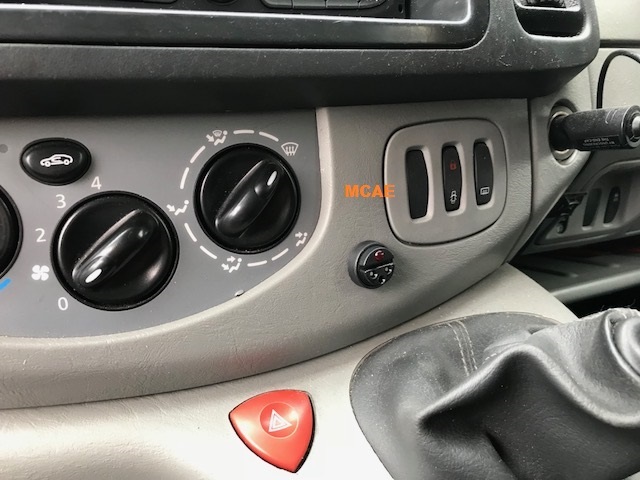 The best alarm suited to this vehicle is the Laserline Thatcham Cat 2>1 Plip upgrade alarm, it offers excellent security and complete piece of mind by working alongside the original vehicles 2 button remote. Giving you top security but no need to worry about having seperate remote control on your keys to arm or disarm the system. The Laserline offers excellent protection for the doors front, side and rear along with the vehicles interior via the ultrasonic sensors which are a dark white matching most original head linings perfectly. The system is backed by the loud 118db siren which carries a full onboard battery back up. Meaning if the wires are cut during an attack the alarm will just keep sounding. The Laserline is the best choice for this vehicle due to the excellent reliablity of the product and outlasting performance against other brands. If you would like a Laserline installed car Car Alarm Essex today on 07525 068291.